this is a really well-written article! you and "kate" both got great write-ups. Oh and I've read the article. Thanks Hayley. Its a good interview in terms of how everyone is depicted. Are u happy with it? Hey Hayley! 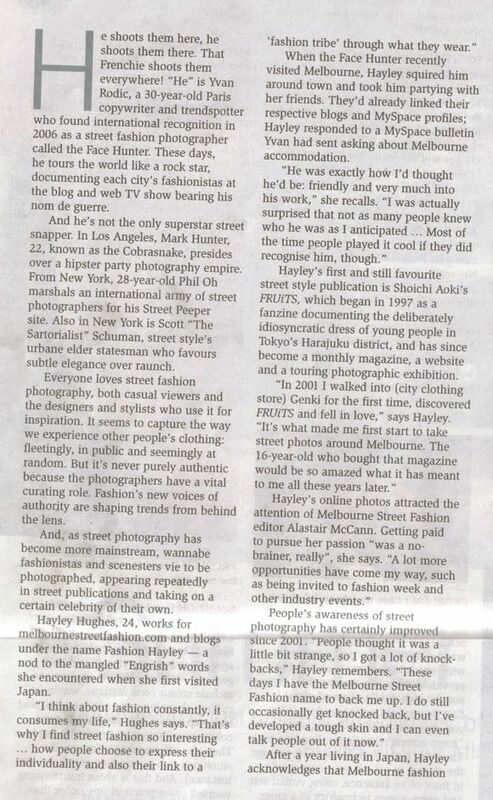 I'm an Age subscriber and I read your article today, how exciting!!! It's a good article, they usually have interesting articles in the M magazine and heeeaaaps of people would be reading it so it's pretty huge, congrats! 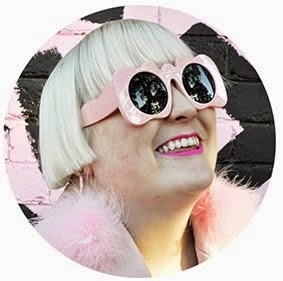 Hey, just so you know, I love your blog, and I linked to it on my Boston street fashion blog (just starting out). I hope you don't mind! Thanks for the scan! That's so impressive. I'm truly, really happy for you!! Oh, and Hayley (should i be calling you that? ), I just started my links list, and you're up. congratulations!! That's very happy for you! 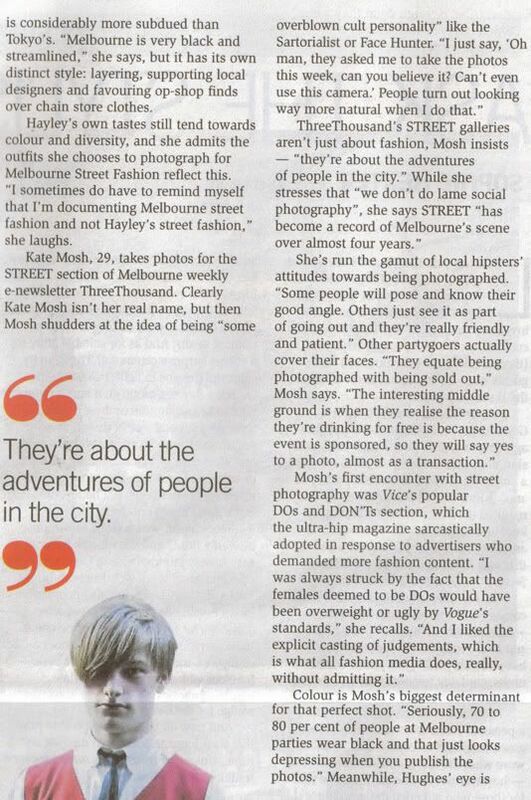 "Melbourne fashion is considerably subdued than Tokyo's"
Congratulations, very well deserved m'dear!